Select your plane and start the game. Shoot enemies, dodge their bullets and rescue survivors. 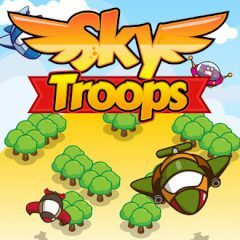 Sky Troops is and awesome game where you select a plane and battle through the bunch of enemy troops. Rescue survivors, get crates and coins to upgrade your tiny plane into a machine!